"Are you ready to see your fixer upper?" The husband and wife duo of Chip and Joanna Gaines have captured the imagination of DIY enthusiasts with their hit HGTV show Fixer Upper. Faithful followers of the program will know that the couple's reach extends way beyond the TV screen. Chip and Joanna are the owners of Magnolia, a multifaceted company that focuses on real estate, renovation, and design. 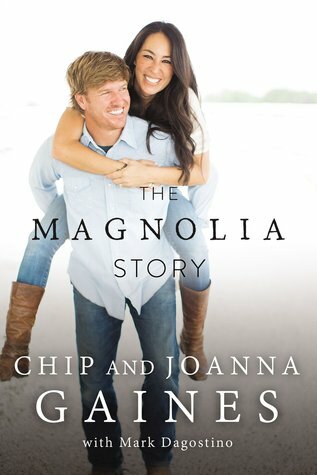 In their first book together, The Magnolia Story, Chip and Joanna give readers some insight into their life together and how their booming business came to be. At the heart of the Gaines's story lies Waco, Texas. The small town that rests about halfway between Austin and Dallas serves not only as a backdrop to their story, but an integral part of their lives. The couple met in Waco, raised their kids there, and station all of their business dealings there. If you ever get a chance to visit the city, you'll find it hard not to notice the impact they have had on it. At the center of town is the Magnolia Silos, a large shopping complex that mixes home design with family fun. There's shopping, food trucks, a bakery, and a large lawn with games and gardens. The couple have found a way to permanently and positively highlight the beautiful town that they love. By the time Joanna met Chip from behind the counter of her father's local Firestone shop, the two could not have been on more different paths. Joanna was back home from a once in a lifetime internship in New York with Dan Rather. After realizing the news business may not actually be for her, she was contemplating her place in the world. Chip, on the other hand, was out to make his next big business deal. Ever the entrepreneur, he was busy running his own lawn care service, selling fireworks, and flipping and renting out homes surrounding Baylor University. They may have been polar opposites, but the two were immediately drawn to each other. The rest, as they say, is history. The couple dated, married, and started a family. While Chip managed his multiple business dealings, Joanna had a business idea of her own. Even though they had little money, Chip encouraged her to follow her dream of opening a small shop of home decor. Devoutly religious, the couple writes about how their faith helped them through the numerous tough spots on their way to success. The most fascinating fact from the book is that their hit show almost never came to be. In the end, personality and staying true to their values seems to have been the true secret to getting to where they are today. I really enjoyed reading about this couple. Granted, fans of the show are likely the ones to get the most out of the book, but I think their message of perseverance, learning from mistakes, and supporting each other no matter what the situation is universal to all readers. The Gaines's have announced that this current season will mark the end of their show. Whatever path they choose to embark on next, I'm certain it will be another great chapter in The Magnolia Story. This entry was posted on Saturday, December 30, 2017 and is filed under Book Review,Business,Chip and Joanna Gaines,Faith,Fixer Upper,HGTV,Memoir,The Magnolia Story. You can follow any responses to this entry through the RSS 2.0. You can leave a response. Oh, I love watching this show! They have such a great rapport with each other and their clients. Love Joanna's style, and she seems like the kind of person I would be friends with. I agree. They're great fun to watch, and seem like genuinely good people.